Hajj al-Tamattu (Arabic: حج التمتع) involves performing Umrah during the months of Hajj (the months being Shawwaal, Dhul Qadah and Dhul Hijjah), usually a few days before the Hajj is due to start, before carrying out the rites of Hajj when the pilgrimage begins. The word “Tamattu” signifies enjoyment, due to the fact that a pilgrim has the added advantage of performing Hajj and Umrah in the same journey without having to return home, in addition to being able to enjoy the benefits of a regular life after leaving the state of Ihram following Umrah, unconstrained by prohibitions, until he enters into a state of Ihram once again for Hajj. Hajj al-Tamattu is the easiest and most common type of Hajj and is performed by the vast majority of pilgrims. It is generally the pilgrimage of choice for the Afaqi i.e. the pilgrim travelling from a different part of the world. This Umrah must be completed during the period of Hajj of the same year, prior to beginning the actual Hajj itself. Your Umrah is now complete and the restrictions of Ihram have now been lifted. You can shower and wear your everyday clothes. You will wait for the 8th of Dhul Hijjah to the start the rites of Hajj. On the 8th of Dhul Hijjah, you will make a new intention for Hajj at your place of residence. 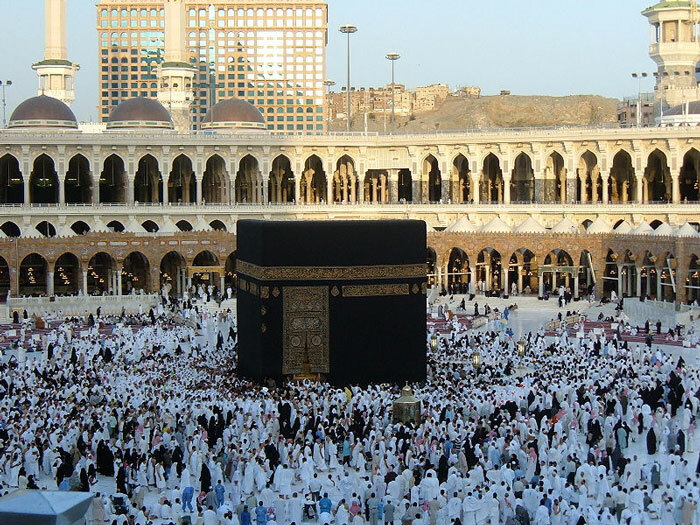 An animal sacrifice is required for Hajj al-Tamattu. Sacrificial animals are available in Mina and should be able to be arranged through your agent.